Shakespeare often spun new stories out of old, offering a fresh perspective on things already read or seen. He mined popular books such as Raphael Holinshed’s Chronicles of England, Scotlande, and Irelande (first published in 1577) and John Harington’s 1591 translation of Ludovico Ariosto’s Orlando Furioso. Shakespeare also wove into his work references to current events, books, maps, and artifacts that would have been familiar and meaningful to early modern audiences and readers, but are often opaque to modern readers or spectators. Armado [to Holofernes]: Monsieur, are you not lett’red? Moth: Yes, he teaches boys the hornbook. What is a, b, spelt backward with the horn on his head? Holofernes: Ba, pueritia [a boy], with a horn added. Moth: Ba, most silly sheep with a horn. You hear his learning. He does smile his face into more lynes, than is in the new Mappe, with the augmentation of the Indies. In Twelfth Night, when Maria makes the above comment about Malvolio, she is alluding to this map, created in 1599 by the mathematician Edward Wright for the the geographer-navigator Richard Hakluyt’s The Principal Navigations, Voyages, Traffiques, and Discoveries of the English Nation (1599). Wright based the work on the terrestrial globe of Emery Molyneux, and on the maps of Gerhard Mercator (1512-1594), the cartographer renowned for creating a world map based on a new projection, which represented sailing courses of constant bearing as straight lines. Given that Twelfth Night was probably written in 1601 or 1602 (with the first known performance recorded by John Manningham), Shakespeare had probably seen, or at least heard about, this map, as would his audiences. The Comedy of Errors (probably written in 1594 but not published until the First Folio of 1623) tells the story of two sets of twin brothers and the mishaps that arise because of mistaken identity. In one scene, Dromio of Syracuse, fleeing the advances of Nell, a woman the audience has not seen, provides a lengthy physical description of her in cartographic terms. While a globe never appears onstage, Nell’s description certainly conjures the image of one. The first English globes, made by Emery Molyneux in 1592, prompted great sensation. Shakespeare may have known not only globes, but also metamorphic maps, such as this one, configuring maps in the shapes of animals or people and often intended as social or political commentary. she is spherical, like a globe; I could find out countries in her. Dromio: I found it by the barrenness; hard in the palm of the hand. Dromio: In her forehead; armed and reverted, making war against her heir. Dromio: Faith, I saw it not; but I felt it hot in her breath. Antipholus: Where America, the Indies? Antipholus: Where stood Belgia, the Netherlands? Dromio: Oh, sir, I did not look so low. Tally sticks were essentially wooden receipts for financial transactions, and were used in England until the early 19th century. 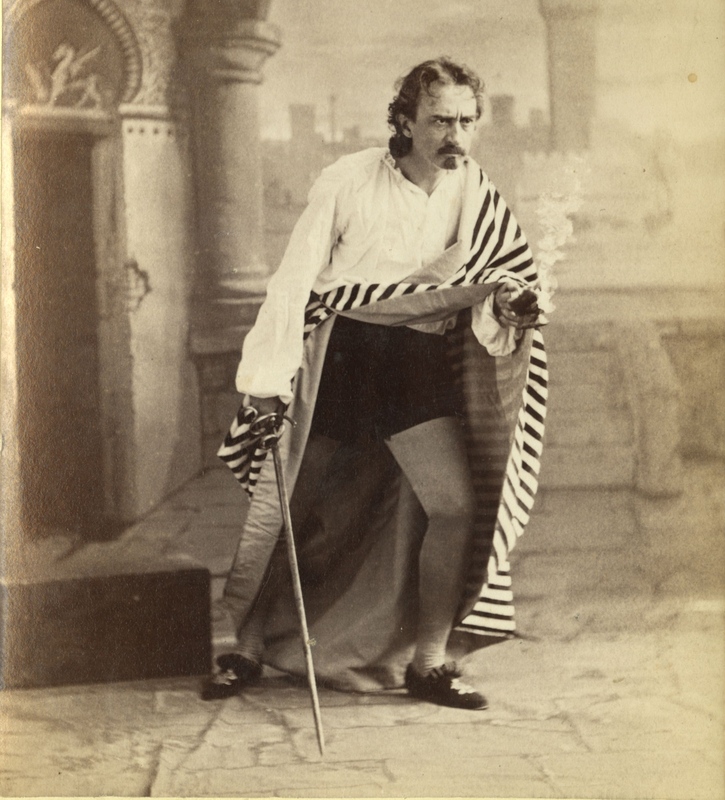 In Romeo and Juliet, Mercutio calls Tybalt “a villain, that fights by the book of arithmetic,” a reference to the style of fencing by the Dutch fencing master Gerard Thilbault. Based on the Spanish school of fencing, Thibault’s method is notable for its highly logical, mathematical approach to swordplay. He discusses at great length the precise geometric relationships between opposing swordsmen, stressing the importance of natural proportion. These relationships are expressed through a circular diagram that Thibault refers to as the “mysterious circle,” visible on the floor in most of the plates in Academie de l’Espée. With his dying words, then, Mercutio accuses Tybalt of fighting without inspiration, as though he had learned from a manual. The main storyline of Romeo and Juliet can be traced back to a number of Italian sources. Agostino Velletti’s Ginevra degli Almieri is similar to some of the texts Shakespeare may have seen: Ginevra is in love with Antonio but is forced to marry Francesco. Her heartbreak causes her to fall into a deep trance, leading people to believe her dead. After being buried in a tomb, she awakens, escapes, and knocks first on the door of her husband’s house, and then her parents’ house, but they do not see her. Ginevra then goes to the home of her beloved Antonio, who takes her in his arms and revives her, later claiming her as his wife. Love’s Labour’s Lost was the first play published with Shakespeare’s name on the title page. Although it was not printed until 1598, the play was probably written and first performed around 1594-95. Love’s Labour’s Lost is one of the few Shakespeare plays for which we can identify no earlier sources, but it abounds in sophisticated wordplay, puns, and literary allusions. Perhaps more than any other Shakespeare play, it explores the power and limitations of language. Shakespeare and his audience may have been familiar with Richard Mulcaster’s 1582 Elementarie, an early attempt to organize the English language into a list of 8,000 words. Many of these words are familiar today, such as elephant, gunpowder, bum, or glitter, while others are more obscure, like brible brable, carpetknight, or flindermouse. None of these words are accompanied by definitions; therefore, the list cannot be classified strictly as a dictionary—there was no such thing as a purely English dictionary at this time. In Act V, Scene 1 of Love’s Labour’s Lost, the pedantic schoolmaster Holofernes is mocked with a joke about a hornbook. A hornbook was a wooden paddle with the alphabet printed or written on paper or parchment and covered with a transparent sheet of horn. It was one of the objects most familiar to anyone who learned to read in 16th-century England, and would have been used by Shakespeare himself as a schoolboy. The first audiences for Love’s Labour’s Lost (probably the Inns of Court) would likely have been greatly amused by this schoolroom humor. The earliest writing books were Italian or French. Giovanni Battista Palatino’s writing manual, one of the most famous Renaissance books on writing, offers examples of a wide variety of contemporary writing styles. The French writing master Jehan de Beau-Chesne published the first English writing manual in 1571 and later served as writing master for James I’s children, Elizabeth (1596-1662) and Charles (1600-1649); the manuscript shown here was created by Beau-Chesne (at age “72 ½”) specifically for Elizabeth, who has a Shakespeare connection of her own: A Winter’s Tale was performed at her wedding to Frederick V of Bohemia.